This week’s CPS sketch challenge (#179) features a very versatile sketch to use in card making, and is sponsored by The Stamps of Life. For my card, I used some cute Lawn Fawn stamps that I bought earlier this month. My card style tends to be more “Fun & Cute” than anything else, and I love these stamps from the “Sew Lovely” collection! The papers I used are from Cosmo Cricket’s “Material Girl” collection, as is the chipboard flower accent. I added a Creative Imaginations jeweled brad to the center and pleated some ribbon by The Girls Paperie to add a border to the card. I used Stampin’ Up Chocolate Chip ink to do all of my stamping. The sentiment is stamped on a chipboard tag that I altered with acrylic paint. I used a micro-tip felt pen to create the stitching effect on the tag. Thanks for taking the time to look at my card! Oh my goodness, this is so ca-ute! 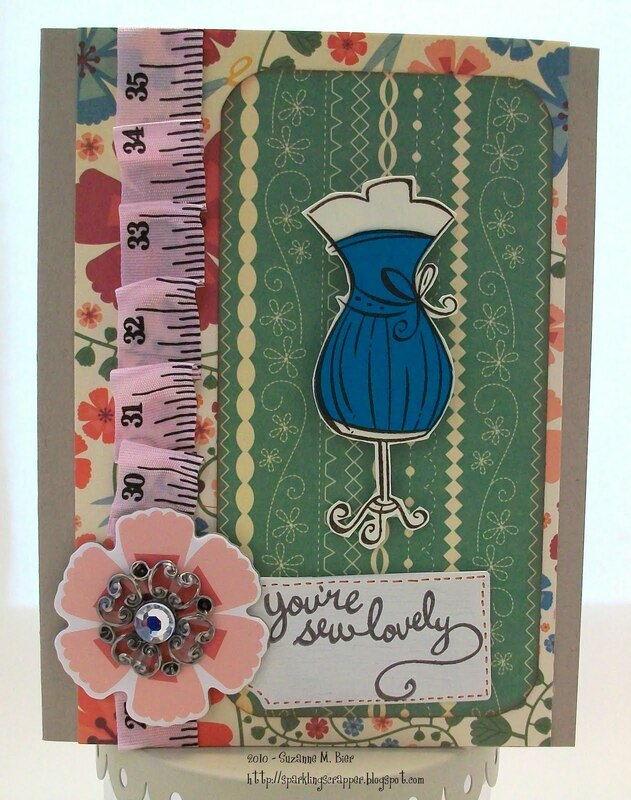 I love the measuring tape, and I just love that stamp set! Thanks for joining us at CPS this week!! Oh my …wowsa! Love that measuring tape! Great colors and detail…looovvvee it!! !